All this silk loveliness I have gathered since starting the COC. I had never worked in silk before. I love it now. How beautiful-and smart! 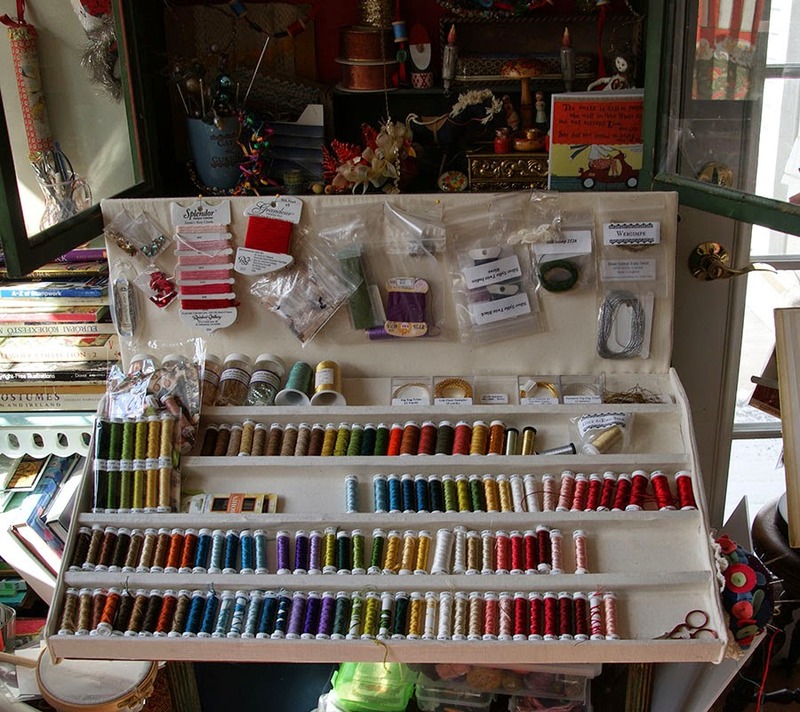 You don't use what you don't see, and this way of storing your threads will get you to actually use them. Silk is VERY addictive to use, after using silk for awhile you won't want to use anything else! 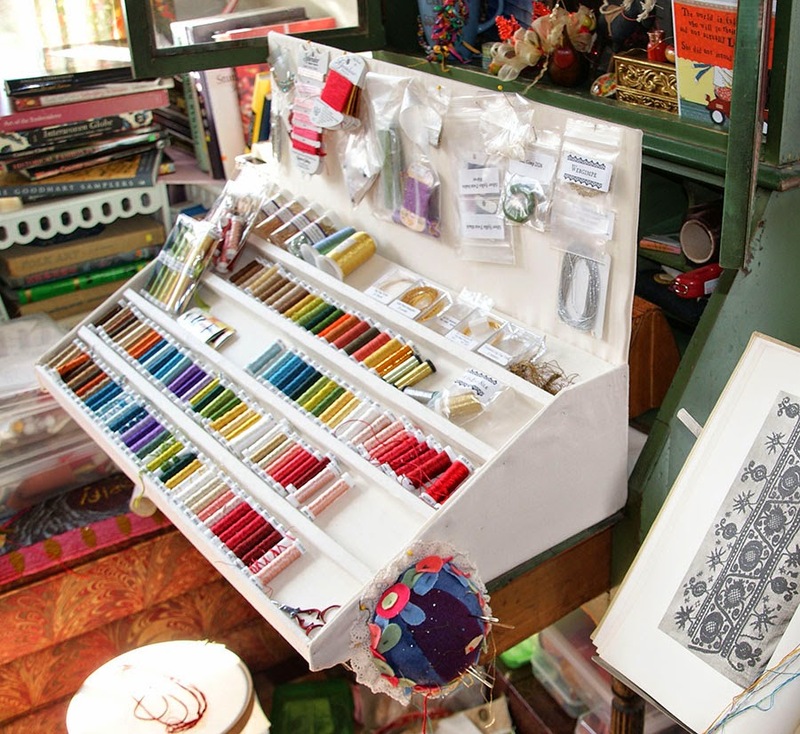 Love this beautifully organised and functional box Janet.Would love to browse your studio. 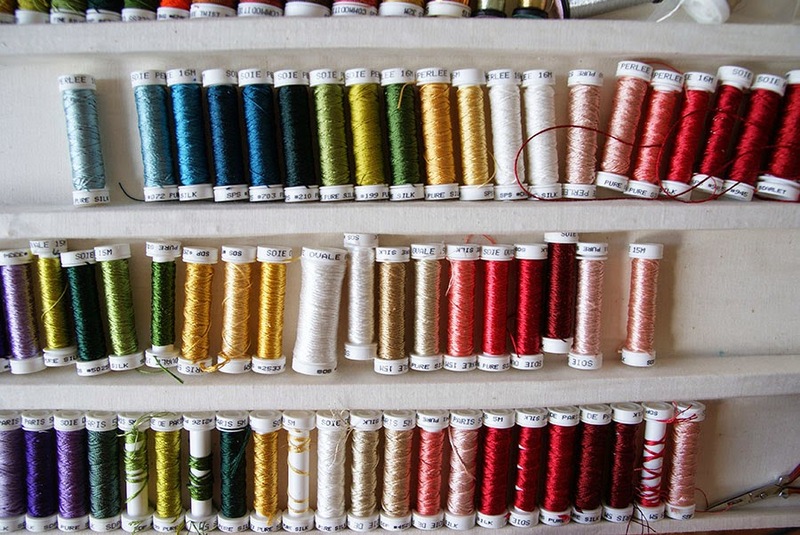 drooling over your lovely silk threads....! Smart box!